Last year Innovation Forum Lausanne bestowed the Imagine IF! award onto Skypull. 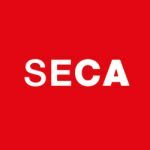 The organisers are now are looking for new Swiss healthcare and cleantech candidates. The winner will participate in the global competition with the chance to win $10,000 and a development package. Imagine IF! is an annual global competition and pre-accelerator program organized by the Innovation Forum in different countries worldwide. At the local level, startups from healthcare sciences and cleantech can apply. 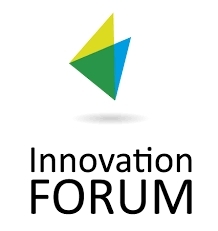 In Switzerland, startups can submit their application to the Innovation Forum Lausanne. They will be evaluated based on their originality, novelty, impact on improving human or animal well-being. After the application phase, the top ten startups are selected for the Local Finals in which the judges choose the local winner and runner-up. The winner in the healthcare field secures a spot in the Global Top companies to pitch at the Global Finals. Registration deadline closes on 16 November. The global winners will undergo several months of training with mentoring from industry professionals from leading corporations and networking. At the end of the program, the startups will resubmit their final business plan to qualify for the final pitch at the Global Finale in June 2019. The startup with the best pitch will receive a non-dilutive cash prize of USD 10,000 and a package that provides multiple benefits to aid rapid development of their company. Moreover, the Top 20 startups – selected from the local top 10 and best of the rest pool – will receive a freeticket to participate in the Innovation Forum Leaders Conference.